- New Bern is not only the birth place of Pepsi-Cola, home to a multitude of cultural festivals and the second oldest town in North Carolina, but it has just completed a $65 million History Center, which is raising the bar on museum experiences across America, making this riverside town one of the most adored destinations in North Carolina. - Thomas Edison and Henry Ford are credited with inventing dozens of modern-day conveniences. When it comes to Florida, their greatest discoveries might very well have been their mutual love for Fort Myers. - Located in the foothills of the Great Smoky Mountains, Knoxville is the perfect blend of Southern hospitality, abundant nature and a thriving world of culture. The Tennessee River provides a stunning backdrop to this diverse and historic destination that was originally the state's first capital. 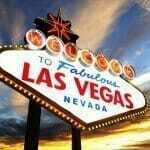 - On the southwest side of the state, there's certainly no shortage of wealth. Indeed, Naples long held the unofficial title of having the most millionaires per capita. But when it comes to attitude and style, Naples is as far from Miami Beach as the seemingly endless Alligator Alley that separates the two coasts. - They chose a tract of north central Florida land from U.S. Route 1 all the way to the Atlantic Ocean and saved the sweetest spot of all for a place called Palm Coast. - Aristotle once said, "In all things of nature there is something of the marvelous." He was talking about a bigger sky. Brighter stars. Breathtaking sunsets. He was talking about Phoenix, AZ, though he probably didn't know it. - How did the small town of Pinehurst in the North Carolina sandhills become "The Cradle of Golf in America?" - This superb Sunshine State location in St. Lucie County isn't as well-known as its southern neighbor, Palm Beach County, but that's just how the Port St. Lucie's populace likes it. 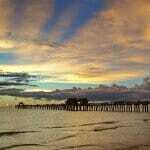 They want to keep this uncrowded and unspoiled Treasure Coast a true treasure. - You'll be transported to a bygone era as you walk along the cobblestone streets of Savannah, GA, with its manicured gardens and shady oak trees draped with silvery Spanish moss. 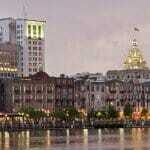 Take in Savannah's extraordinary mansions, churches and museums from your seat in a horse-drawn carriage. 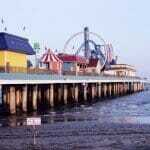 - On the coast of Texas about 50 miles south of Houston is the city of Galveston, Texas. 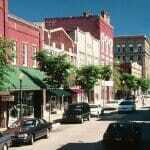 It's a city with tight-knit small town friendliness, but also equipped with the amenities of a larger city. Thirty-two miles of beaches, excellent medical facilities, a vibrant historic downtown, and a subtropical climate-this city is a slice of paradise. 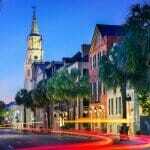 - Picturesque as a scene out of a fairy tale, Savannah, Georgia, has earned the right to brag about its beauty. Named by USA Weekend Magazine as one of the "Top 10 Most Beautiful Places in America" and listed as one of the New York Times' "World's Top Ten Trendy Travel Hot Spots," Savannah has a rich and vibrant history that continues into the present day. 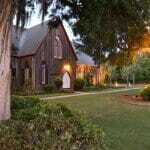 New Bern to Beaufort Communities and Venture Out! Wilmington to Myrtle Beach Communities and Venture Out! - Wilmington is a happening place. 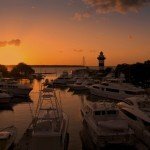 With beaches, rivers, history, water sports, music, the 4th Friday Art Walk downtown, indoor and outdoor theatre, the Azalea Fest, River Fest, the largest movie studio on the East Coast, breweries, wine shops, and a mile-long list of dining options, the only trouble you'll have here is fitting it all in. - Weeki Wachee is one of the Nature Coast's charming towns and touts itself as "The Only City with Live Mermaids." Water bubbles up from an aquifer in Weeki Wachee Springs State Park where they have daily mermaid shows and manatees frolic in the constant 74 degree water. Kayaking and canoeing in the crystal clear waters is a favorite past-time of residents and visitors alike. - When Billy and Valaree Elliott moved to Tucson, AZ, in 1999 for their freshman year at the University of Arizona, they didn't expect to stay in town a day past graduation. Seventeen years, two children, and one successful family restaurant later, the Elliott's are officially here to stay. They have grown to love the 110 degree summers and necessity to put hot sauce on everything. - It doesn't get much more romantic than Southport. Strolling the streets of this quaint fishing village is like walking through a Nicholas Sparks novel. Shrimp boats, trawlers, and sailboats line the docks, with barrier islands peaking above the horizon, and gulls calling overhead all hours of the day. - Playa del Carmen, situated on the palm-speckled Caribbean coast of Mexico, is approximately in the center of a long stretch of tourist destinations, from Cancun in the north to Tulum, 86 miles to the south. Having carved its own chic niche for North Americans and Europeans, this once small town has developed into a city packed with a sophisticated tourist infrastructure, but still gives the feeling of a fishing village that can be walked from one end to the other. - While the breathtaking views from the surrounding Camelback Mountain, in Phoenix, AZ are a tourist favorite, don't let the blazing hot desert summers fool you; locals enjoy a variety of watersports, including boating at Tempe Town Lake and tranquil tubing down the Salt River. - For over 100 years, people have flocked to Palm Beach County. And why wouldn't they - with over 47 miles of clean and clear beaches, close proximity to many international airports, and culture and restaurants galore? 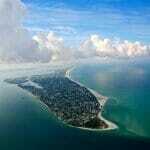 Palm Beach County stretches from Jupiter to Boca Raton, bordering the Atlantic Ocean and the Everglades National Park. - If you're lucky enough to have a window seat on approach to Orlando International Airport, you're struck by the sheer number of lakes, of every shape and size, that dot the landscape below. They're unexpectedly everywhere and they thoroughly influence life in Florida's fourth largest city. - On its own merits Ocala is a perfectly charming and thriving city in north central Florida with a nostalgic Downtown Square framed by stately oaks. But then there's the limestone bedrock underfoot, which has coupled with the unique local topography to bring forth the largest artesian spring in the world - Silver Springs - and the clearest waters you've ever seen in your life. - What's not mythical, however, is Tampa's envious reputation for embodying all that is unique to a big city - broad cultural offerings, international commerce, and national sports teams - while at the same time offering the manageable lifestyle of a smaller city. - The words are better suited for the small, beachy city of Naples, FL. Consisting of a little more than 20,000 residents, Naples welcomes new faces with open arms. With a small-town feel and big-city attractions, Naples is bustling with longtime locals and tourists alike. 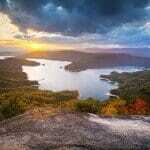 - Knoxville is nestled in the Tennessee Valley, and the Tennessee River runs right through the heart of the city. With its vibrant downtown, proximity to mountains and water, and multiple opportunities for outdoor adventure, Knoxville has a little something for everyone. 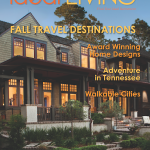 - Top Places to visit from locals in Greenville ideal-living magazine through interviews has compiled a list of hidden gems from locals where to eat, live a..
- Charleston is a truly wonderful place to visit, with a huge residential district south of Broad Street that's filled with impressive antebellum homes, must-see historic sites like the Fort Sumter National Monument, and a walkable downtown area with shops, restaurants, art galleries, and museums by the score. - The mainland town of Bluffton and the barrier island of Hilton Head are two South Carolina Lowcountry communities located just a few miles apart and linked by more than just the dual roadway above the tidal waters that divide them. - Beaufort has also become especially popular with military retirees, many of who were introduced to the area during basic training at the nearby Parris Island Depot or duty at the Beaufort Marine Corps Air Station. Veterans are also served by the U.S. Naval Hospital in Port Royal. 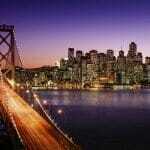 - Known as "The Live Music Capital of the World," Austin is the kind of place where you immediately feel at home. Known for its barbecue and carne asada tacos, you're sure to find a music scene (over 250 venues) or food truck (2,000 in the area) with your name on it. Downtown has seen incredible expansion in recent years with six distinct districts where commerce, cuisine, and cocktails mix. 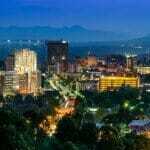 - Asheville, NC, a city full of musical talents, mouthwatering menus, and breathtaking views. Asheville is a mountain paradise you'll fall in love with. 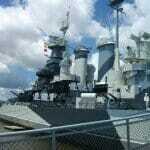 - The downtown area of Nashville is easily accessible. Three major interstate highways (I-40, I-65 and I-24) converge near the core area of downtown, and many regional cities are within a day's driving distance. The downtown area features a diverse assortment of entertainment, dining, cultural and architectural attractions, making Nashville one of the best places to retire. - Set among the foothills of the Blue Ridge Mountains in the northwest corner of South Carolina, Greenville's vibrant community offers breathtaking views and Southern charm. From the Liberty Bridge, a 355-foot pedestrian walkway overlooking the historic waterfalls nestled in the heart of downtown, to panoramic views from the mountains, the Greenville attractions are endless. 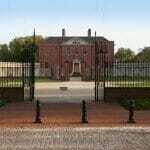 - Beaufort is located on Port Royal Island, one of the largest Sea Islands along the southeast Atlantic coast of the United States. It is one of only a handful of U.S. towns that has had its entire downtown designated an historic district by the National Trust for Historic Preservation. - Aiken is a laid-back, charming community located near the midpoint of South Carolina's long border with Georgia, and it is one of the best retirement locations. 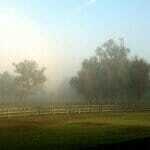 It offers great golfing, hunting and fishing. Often described as a city with Southern charm and a cosmopolitan flair, Aiken has received national acclaim in several prestigious magazines. - This charming port city is located in the southeastern corner of North Carolina, between the Cape Fear River and the Atlantic Ocean. Wilmington has become a popular destination because of its moderate, four-season climate, historic preservation district, annual events such as the Azalea Festival and Riverfest and numerous championship golf courses. - New Bern is the second-oldest town in North Carolina and the birthplace of Pepsi-Cola. 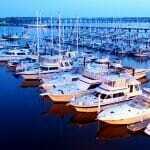 The city is situated where the Trent and Neuse Rivers meet and is only thirty-five miles from the Atlantic Ocean-an ideal spot for boating enthusiasts. Sailing is a popular and relaxing activity for residents and visitors alike. - With its beautiful public squares, fine dining, historic attractions and vivid cultural scene, sultry Savannah has something for everyone. The city's colonial architecture, funky art and Southern charm make it a popular destination and great retirement location. 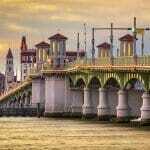 - Thirty-five miles of silken beachfront wrap around Sarasota-a city rich with cultural history, sun-drenched islands, natural treasures and unlimited discoveries. Sarasota offers big-city amenities with a small-town way of life, filled with vibrant recreational and cultural activities for every taste and budget. The city is a tropical paradise on the Gulf of Mexico offering abundant natural beauty, cultural tradition and a superb quality of life. - Nestled between the Gulf of Mexico and the Everglades wilderness, Naples combines breathtaking natural beauty with relaxed, sophisticated living in one of the world's most desirable, tropical retirement locations. - Caribbean Communities Explore our Luxury Communities and wake up to a beautiful ocean and beach front view! Enjoy the sand and the waves, Retire to the Caribbean love!